Keeping your Oklahoma home sparkling clean even during the busiest times of year means hiring one of the professionals at Maid OK to help. These maids clean the tough spots and the most used areas to ensure your home is healthy and spotless. These maids can come when you need them too. This means they can come on a weekly, monthly or regular basis based on how often you would like them to come. According to reviews, you can always rely on this team to refresh your home. For a housekeeper in Tulsa, you could hire a company that overcharges you for wiping the counters or you can work with the team at Tulsa Maid Service that will provide the most thorough cleaning at relatively cheap prices. This local house cleaning service was established in 1989 and ever since then has been working toward providing their customers with the highest level of workmanship and customer service. 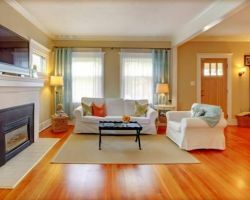 They are able to achieve this by focusing on customer satisfaction and learning the most effective and thorough cleaning techniques for every aspect of a home. 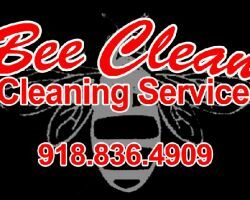 Bee Clean Cleaning Service Inc. There are times when you will need to hire a house cleaning service and there are times when you will need more specialized work, like that provided by Bee Clean Cleaning Service Inc. This company offers commercial and deep cleaning options for floors, carpets, windows, and even event and construction cleaning too. What makes this company the best at what they do is their dedication to keeping their clients happy. This is what drives the team to learn the latest techniques and use the latest equipment to get the results you want. Maids of Tulsa LLC are an easy maid service in Tulsa, OK to use because of their flexibility. Clients can call and schedule cleanings or can make reservations directly online. If it is your first time working with the company you can even schedule a first in-home free estimate for the work that you would like done. You can ask for a general clean or provide the team with more specific instructions. In any case you can be sure that the work will be completed flawlessly and to your exact specifications. 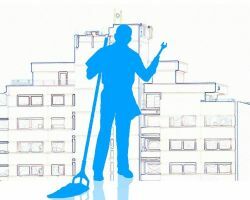 From janitorial services to focusing on making the floors shine, Cleaning Services of Tulsa is a comprehensive maid provider that is most well known as a commercial cleaning service or office cleaning service. 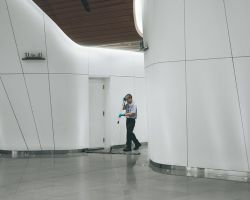 The highly skilled maids and cleaners at this company have years of experience cleaning spaces daily as well as implementing deeper or more thorough techniques on a weekly or monthly basis. You can count on these Tulsa cleaning services to be professional and always be competitively affordable too.